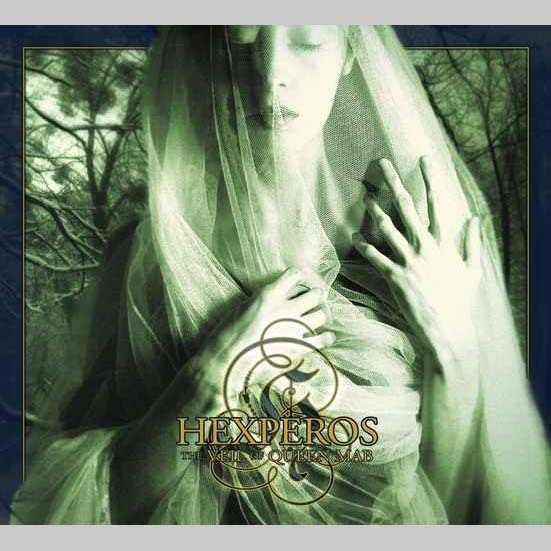 Hexperos utilizes classical instruments, fairy tale themes, and dreamily operatic vocals to weave a gothic spell of enchantment entitled The Veil of Queen Mab… and it is exquisite. Vocalist Alessandra Santovito is a jewel. Whether singing in English, Italian, or Latin, her voice is strong, clear, emotional, and completely mesmerizing. You don’t have to know the language to appreciate the passion. The album opens with the lush “The Fairy Appears,” featuring a dreamy harp and string section. You can almost see the glow of the fairy approaching through the shadowy forest. “Queen Mab” is darker, as deserving of the fairy queen. The music is lovely, full of epic crescendos and almost military sounding percussion. “Moon Spell” seems aptly named as the tribal percussion and gentle harp and strings inspire thoughts of a coven of beautiful young witches dancing a circle beneath the soft light of the full moon. “Nocturne” feels the most sinister of the bunch, its deliberate beat and frantic bowing giving the feeling that something dangerous is about to happen. But the most emotional of all the songs is the very last one on the album, “Astuiana,” with classical guitar provided by Riccardo Prencipe. It is simple, short and sweet, guitar and vocals, but it sounds like the kind of song you’d hope to hear as you walk down a softly lit street in a cozy villa. It sounds like home. The Veil of Queen Mab is exactly what it was designed to be: timeless, otherworldly, and moving. Santovito’s vocals play perfectly with the chamber orchestra and inspire the mind to travel back in time to a place where magic was more than myth.